The District Department of Transportation’s new rules for dockless bikes and scooters starting in 2019 have ruffled Bird’s feathers. The electric-scooter operator is specifically concerned that limiting the number of scooters in any company’s fleet will make it unprofitable, and capping speeds of scooters would actually increase risks. WASHINGTON — The District Department of Transportation’s new rules for dockless bikes and scooters starting in 2019 have ruffled Bird’s feathers. The electric-scooter operator is specifically concerned that limiting the number of scooters in any company’s fleet will make it unprofitable, and capping speeds of scooters would actually increase risks. In a letter to Mayor Muriel Bowser, Bird urges she intervene in DDOT’s plans for new rules. One of them would cap the number of scooters any one company could operate in the District at 600. “The Department of Transportation’s proposed cap on the number of e-scooters available to the people of D.C. eliminates any chance of this program being equitable, of solving issues related to transportation deserts in the city, and ultimately getting more cars off the road,” wrote David Estrada, head of government partnerships at Bird in his letter to Bowser. “Also, a capped number of scooters incentivizes e-scooter providers to put their vehicles only in popular, high-density areas, not in historically underserved areas that would most benefit from an affordable and reliable transit option such as Bird,” he said. Electric bikes will be required to be modified so they don’t go any faster than 20 mph, and scooters will be limited to no more than 10 mph. “Vehicles traveling at significantly different speeds will create dangerous conditions, and could increase opportunity for collisions between cars, e-scooters and bikes. There is also no data to suggest that 10 mph is safer for e-scooter riders than 15 mph,” Estrada said. In September, a 20-year old Silver Spring, Maryland man riding a scooter in Dupont Circle was struck by a car and died. Other new requirements include non-smartphone options for trip rentals, cash-payment options and low income pricing, as well as deploying scooters in all eight Wards in the District. The new regulations come after the District’s yearlong pilot program to gauge demand and safety. “The new dockless permit requirements reflect the promise DDOT sees in this program to increase active transportation in the District, as well as the many valid concerns we heard from a wide range of stakeholders involving safety and equity,” said District Department of Transportation director Jeff Marootian. Information on the dockless program is posted on the DDOT website. Five dockless companies currently operate in the District. Jump has a fleet of deckles bicycles only. 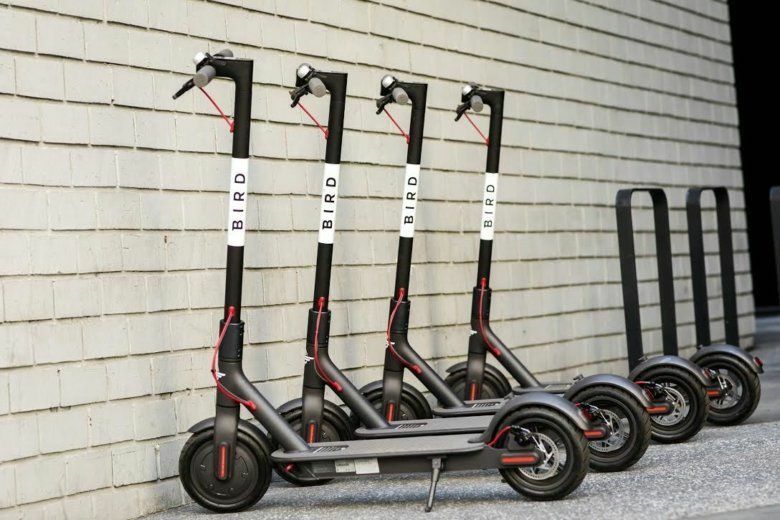 Bird, Skip, Lime and Lyft all operate electric scooters. Spin, which originally entered D.C.’s dockless pilot with bikes, plans to convert to a scooter fleet.